My wedding colors were yellow and gray. My shop branding is yellow and gray. My never-ending yo yo quilt I’m making myself is yellow and gray. 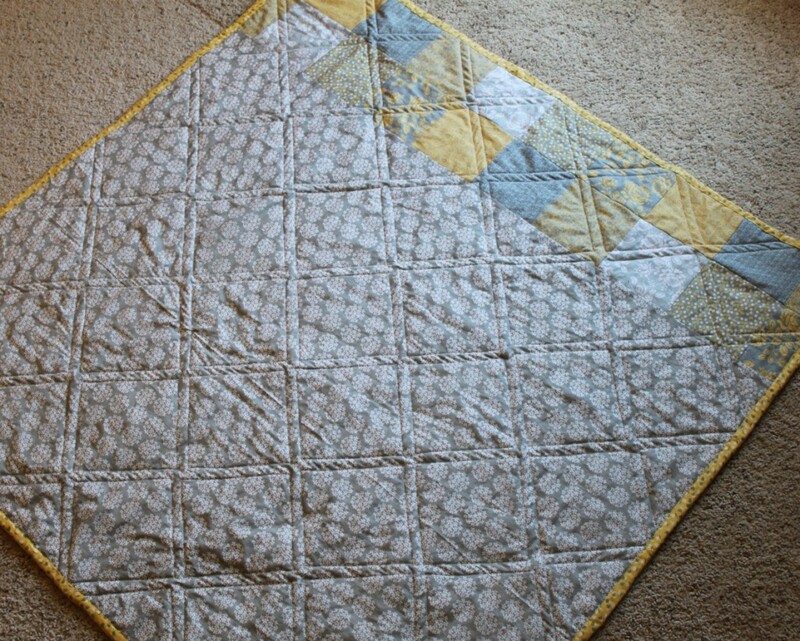 My last baby quilt was yellow and gray. My “You are my Sunshine” print is designed in yellow and gray. (Come to think of it, so is this one and that one). 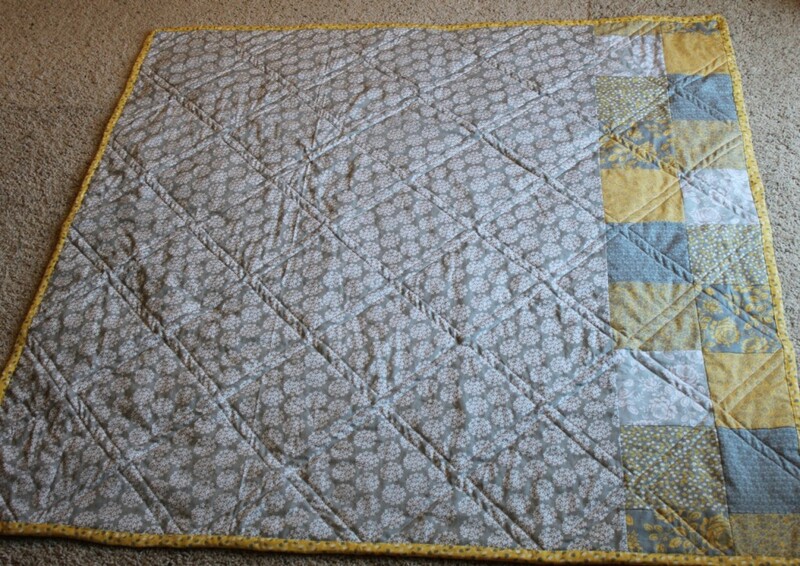 So I’m sure you’re totally surprised that I finished yet ANOTHER yellow and gray baby quilt. What can I say? Those colors make me happy! And quilting is supposed to make you happy, which is why I keep going back to it. 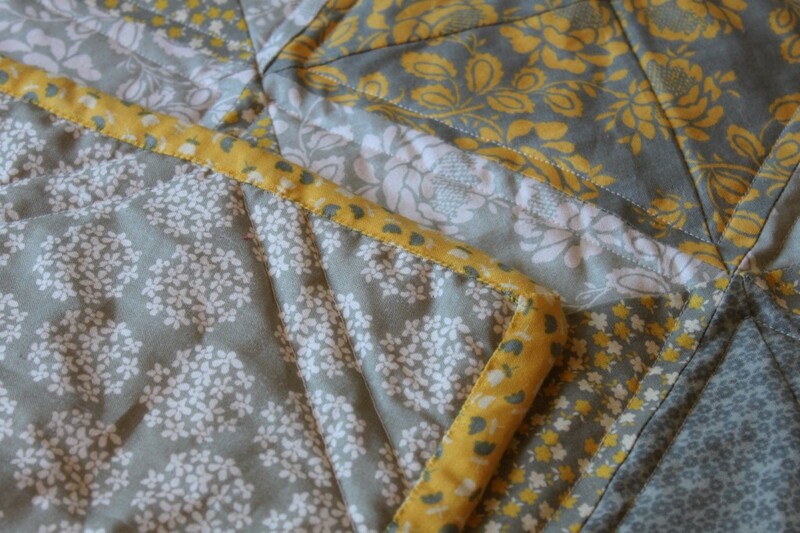 There will probably be more gray and yellow quilts in my future. 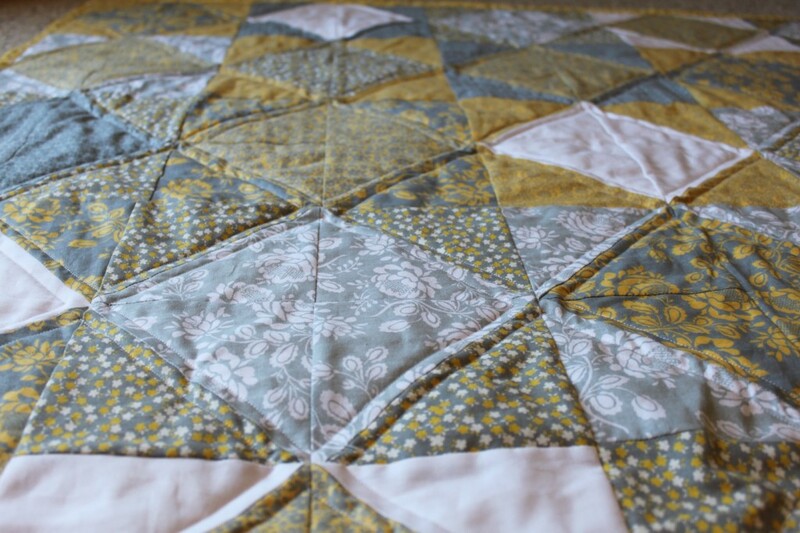 Say hello to my yellow and gray diamond baby quilt. I continued with my streak of triangle quilts. As you can see there are so many different ways to arrange them to make them look completely different. 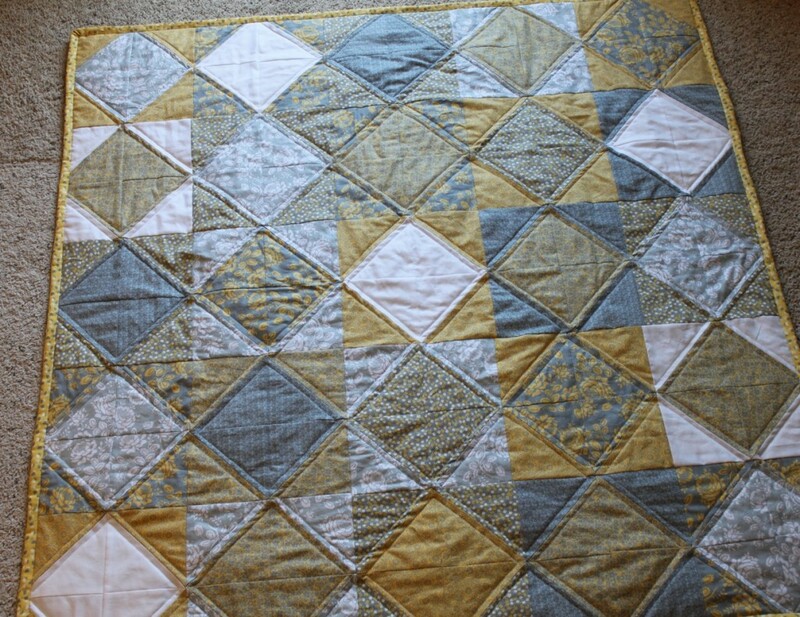 I didn’t have enough of that gorgeous gray fabric to finish the back, so I added two rows of patchwork squares with the same fabric as the front. I bound it with a retro yellow and gray border featuring tiny tulips. I’ve got a little bit leftover and can’t wait to use it again, it’s one of my new favorites. I love how well you can see the quilted design on the back – such pretty diamonds! I hand-bound the whole thing, which took me more hours than I’d like to admit (okay, at least 10), but it was worth it because of the delicate, clean lines it created. This quilt is going to one of my Baylor Theta sisters, Amy, who just had another baby girl. I love getting to see babies use my quilts, as that’s what they’re created for – to be loved on, cuddled with, drug all over the house, and otherwise USED. I hope Baby Lily Reese gets much enjoyment over the next few years out of her little yellow and gray piece of my heart. Stay tuned for ANOTHER quilt post TOMORROW. Yea!